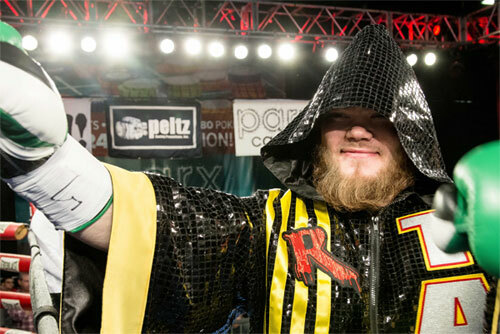 Many who have watched Philly heavyweight Joey Dawejko ply his trade in the ring know that he’s a bit of a puzzle. Physically, he looks like a pure puncher – short and stocky, with close cropped hair and a fixed smirk on his face that implies he’s hiding something. However when the bell rings, Dawejko is more boxer than puncher, with surprisingly mobile feet and slick defensive moves. Perhaps this is the secret that his smirk keeps. Or maybe Dawejko’s biggest secret is that his skillset and potential as a fighter have always seemed much greater than the story told by his inconsistent performances and 19-4-4, 11 KOs, record. On one hand, this discrepancy could be a secret weapon, potentially making him a spoiler for any fighter, matchmaker or promoter who takes him lightly. However, Dawejko himself has always been a full partner in the business of underestimating his true potential. 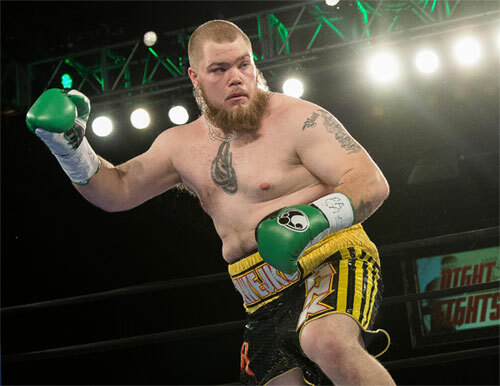 You see, with Joey Dawejko, the only real question is whether or not he’ll show up on fight night in good enough shape to deliver. His performances have often been hampered by his spotty conditioning, and therefore Joey’s prospects for success have always been held hostage by this missing piece of his game. 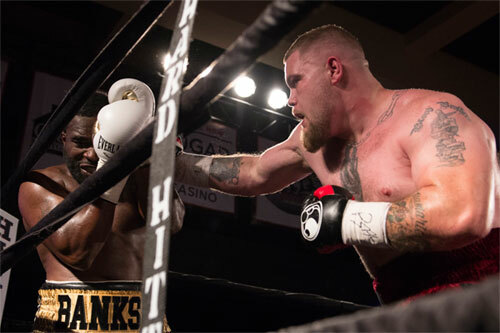 On Saturday night, Dawejko and his Achilles heel will be tested like never before in a hotly anticipated collision with fellow Philadelphian and heavyweight contender Bryant Jennings. 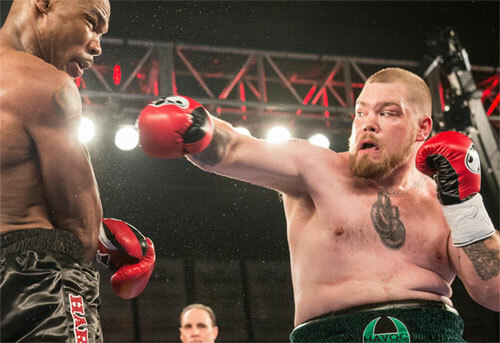 Their 10-round bout, with the PA State Heavyweight Championship and both of their careers at stake, is the best Philly vs. Philly bout staged in years and is part of a mega-watt fight card at the Liacouras Center in North Philly. The match is an interesting one. Despite their geographical similarities and comparable weight class, Dawejko and Jennings are very different animals. Dawejko began fighting during his childhood, while late bloomer Jennings started as a grown man. Joey garnered many amateur trophies, while Bryant got in and got out of the amateur ranks in the blink of an eye. As professionals, Jennings mounted a fast-rising campaign that led him to a shot at world champ Wladimir Klitschko, while Dawejko rode his rollercoaster journey to the middle of the division. Their training regiments are night and day opposites. Jennings, who splits his training time between Philly and Florida, has always put his conditioning first, while Dawejko, who holds camp in California, has always struggled to commit to the toils of the gym. Yet, both of their paths have led them to Saturday night’s fight, in an assignment that figures to be “must win” for each heavyweight. Dawejko claims that he’s finally overcome his fatal flaw and that his entire future will be launched with a win over Bryant Jennings. If Joey has in fact trained properly, the fight could be his. However, if he took another shortcut to the ring this time, it’s a fat chance that he’ll come out on top. We will find out when the bell rings on Saturday night. I spoke to Dawejko by phone at his West Coast training camp. HOW HAS TRAINING CAMP AT THE WILDCARD GYM BEEN GOING? HAS IT BEEN HARD TO BE AWAY FROM HOME FOR SO LONG? SO YOU’VE BEEN TRAINING FOR FOUR MONTHS FOR THIS FIGHT? DO YOU THINK YOUR CONDITIONING HAS BEEN THE MISSING PIECE? WHAT ARE BRYANT’S ADVANTAGES IN THIS FIGHT? IS THIS THE BIGGEST FIGHT OF YOUR CAREER? IS JENNINGS THE BEST FIGHTER YOU’VE EVER FACED? THE MANSOUR FIGHT WAS ONE YOU LET SLIP AWAY, RIGHT? HOW DO YOU FEEL ABOUT FACING ANOTHER PHILLY FIGHTER? YOU HOLD A WIN OVER JENNINGS AS AN AMATEUR AND SPARRED WITH HIM AS A PRO YEARS AGO. DOES THIS MEAN ANYTHING NOW? HAVEN’T YOU FELT THIS WAY BEFORE IN YOUR CAREER? WHAT DOES THE CHANCE TO WIN THE PA TITLE MEAN TO YOU? “I love Philadelphia; I love Pennsylvania, but it doesn’t mean too much because I’m moving on to beiger and better things. IN PHILLY, THERE IS A LOT OF BUZZ ABOUT THE FIGHT. IT’S NOT THE MAIN EVENT, BUT IT DOESN’T IT FEEL LIKE IT IS?